To the average passer-by, it's a building. Maybe it's of architectural or historical interest, a landmark or even a workplace. You arrange to meet at it, you take a guided tour, or you simply drive past it without a thought. But to the lighting designer, the projection designer, the artist and the event company, every building facade is a potential canvas. This week we look at five reasons to map a building! 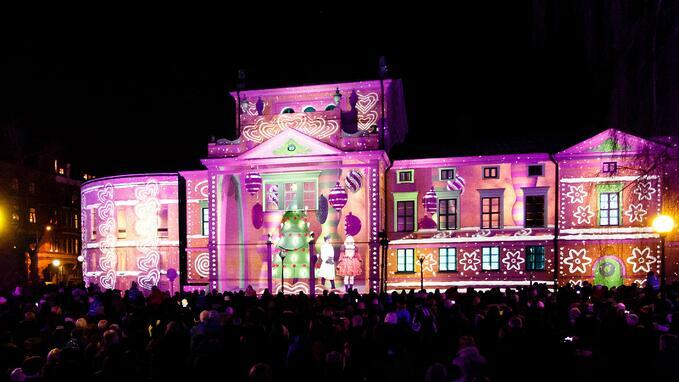 All I want for Christmas is a projection-mapped building… Wermland Opera in Sweden describes its annual facade show as its present to the people of Karlstad, lighting up the darkest December evenings. The impressive, family-oriented show is designed by Eyebrite, Göteborg, and plays December 2-9, three times every evening. The free event includes a light show and interactive game on the facade of the 19th century building. Projection by Adapt. View a short version of the show. The 100-year celebrations for Poland's National Independence Day provided a great occasion to map landmarks in Katowice, Wroclaw, and Krakow. 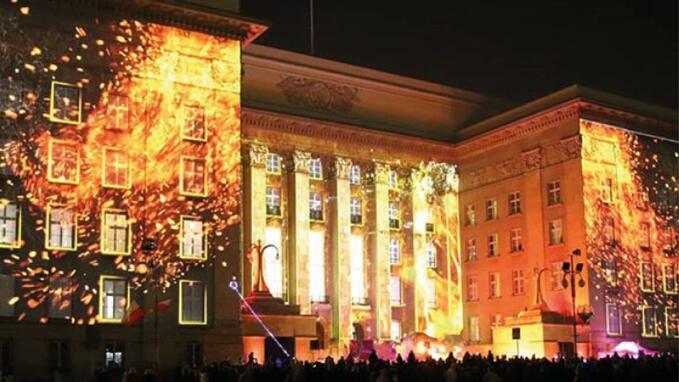 Projection on theater, castle and parliament buildings by Visualsupport from Krakow. Check out a short clip from the Katowice show. Olympic Games opening ceremonies are usually held inside stadiums for a large – but limited – audience. 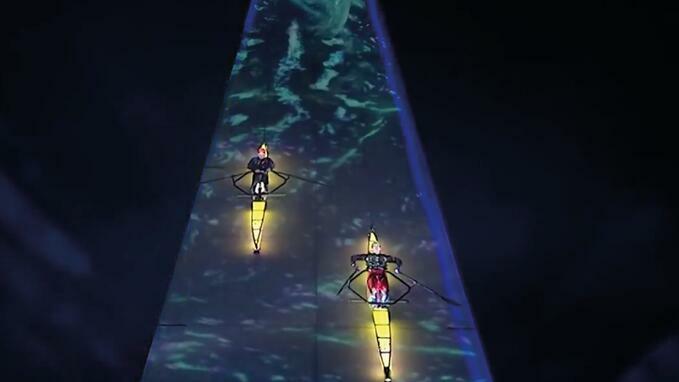 The 2018 Youth Olympic Games turned the tables with a ceremony in a public location which was open to anyone (some 200,000 spectators). 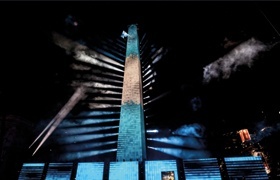 The pièce de résistance at the event was the projection-mapped obelisk, one of the city's most well-known landmarks. Standing tall at 67.5 m, the obelisk provided a unmissable canvas for projection and live performances. Sixteen 20K projectors were installed on top of two adjacent buildings to cover the obelisk with the jaw-dropping content, which interacted with stunt actors running, rowing, cycling and diving off the building. This retailer's new flagship store in Auckland opened at the end of August and offers 3500 sqm of shopping opportunities spread across four levels. 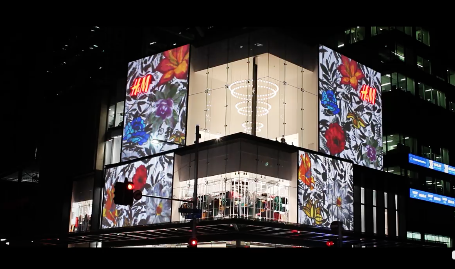 For the grand opening, New Zealand artist Reuben Paterson collaborated with AV veteran Spyglass to create a vibrant show of flora and fauna projected onto the store facade. A total of eight 20K projectors were used to map the surfaces of the building's cube-like exterior. The Umaid Bhawan Palace of Jodhpur, India, presents an eye-catching facade with its lavish Indo-Deco style and sandstone exterior. 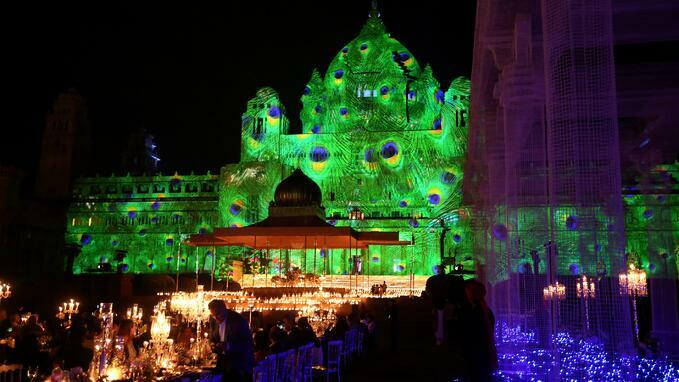 Add awesome projection mapping and you have a unforgettable backdrop for any event. The projection canvas measures 180 m across with a range of crenellations, turrets, columns and domes to take into account. 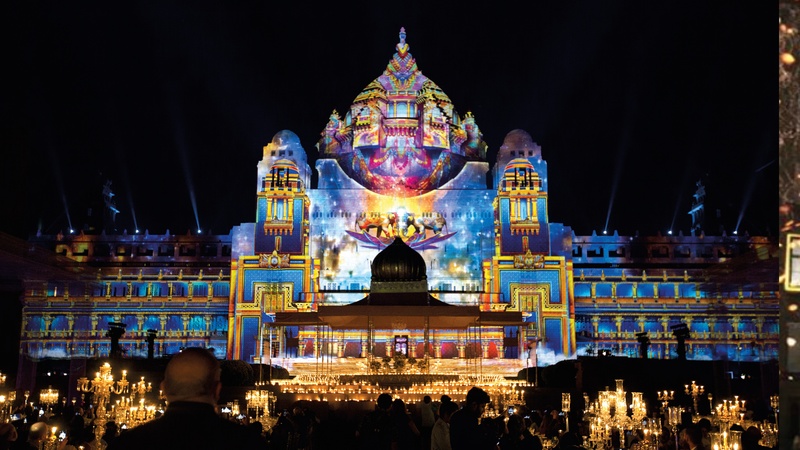 The facade has been mapped a number of times; this example shows a 2018 show designed by Spectaculaires, France, for a private wedding celebration. 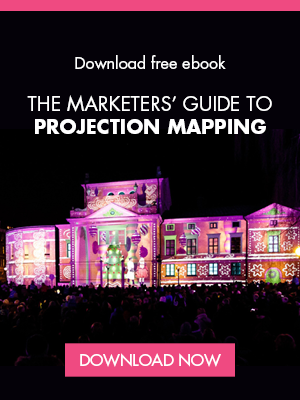 "Five examples of creative projection mapping"
"Five more examples of creative projection mapping"
Jacquie has waited in line at expos in Seville, Hanover, Shanghai and Milan.